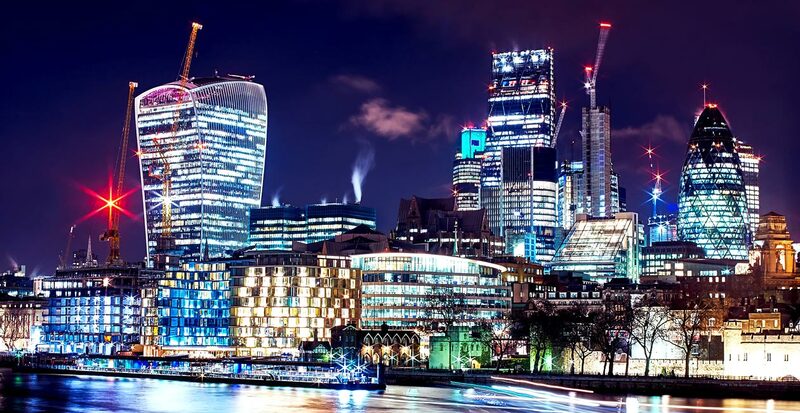 The majestic city of London is renown for its art, theatre and fashion scenes. A trip to this city offers cutting-edge boutiques, luxury department stores, museums of every kind and a diverse range of international cuisine to enjoy. What's more, you will not have to worry about accommodation with thousands of luxury hotels, and apartments for you to choose from. Here are some of the best hotels in London the United Kingdom, that will win you over. The Montague on the Gardens is a boutique hotel snugly nestled in Bloomsbury. This cultured Georgian hotel is full of English charm and excels highly in warm, generous hospitality and traditional service. The Montague on the Gardens is famous for its alfresco dining and wonderfully fun pop-ups, including a Hawaiian Beach Bar during the summer and alpine themed Ski Lodge during the winter. It also offers luxury accommodation with its rooms and suites which are individually designed with fine furnishings and fabrics. It boasts close proximity to some of London's most popular destinations. Visitors staying here should make a point to visit the British Museum, the Bloomsbury Walks, the Apple Market and the cycle tours of London. Opened in 1865, the Langham is one of London's oldest grandeur hotels. Even with its antiquated design, the Langham hotel embraces the present with ultramodern aesthetic worthy of the 21st century. Its 380 well-appointed rooms and suites feature streamlined furnishing and classic finishes. Its Artesian bar is revamped with resin table tops and Chinoiserie-themed chandeliers that reflect their warm nature. While enjoying your stay at the Langham Hotel, make sure to visit the BBC's Broadcasting House, which is located just opposite the hotel. It is also less than a 5-minute walk from Oxford Circus. Discreetly located in the heart of London's Westminster, the luxurious Royal Horseguards hotel overlooks the River Thames in the Embankment. This hotel is steeped in history and quality. It features Victorian grandeur architecture combined with elegant first-rate contemporary comfort, which sets it apart as one of the finest hotels in Trafalgar Square. Each of its rooms and suites is imbued with a blend of exquisite Victorian elegance and modern comforts. You will be provided with a choice of the city, river or garden views for your enjoyment. Guests can wine and dine at the award-winning One Twenty One Two restaurant, have nightcaps and cocktails at the Equus Bar or have a luxurious afternoon tea in one of their relaxing lounges. While staying at the Royal Horseguard Hotel, you will be within walking distance of the Palace of Westminster, Big Ben, Nelson’s Column and the London Eye among other exciting places. Located in the heart of the prestigious Whitehall Place in Westminster, the Corinthia Hotel offers world-class dining experiences, award-winning service and views to die for. This hotel is wedged between the Trafalgar Square, the River Thames, the Royal Horseguards and the Embankment tube station. Corinthia Hotel gives off a modern and lavish ambiance, but with elements of the grand Victorian era still eminent, particularly in the restaurant and public rooms. Its hotel rooms and suites are simple and spacious, yet stylish with its penthouses looking magnificent. This hotel boasts of some of the top-level bars and restaurants and is also home to London's largest spa - ESPA Life. Visitors in the West End can tour the Covent Garden, Leicester Square, Big Ben, Piccadilly Circus, and the Buckingham Palace. 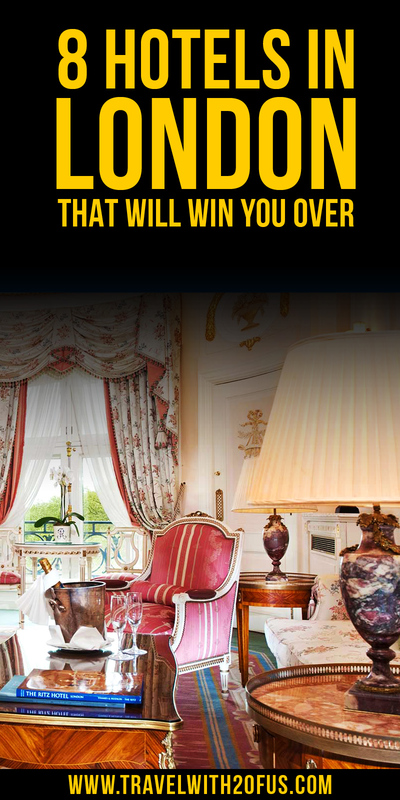 Located close to the Buckingham Palace, the Ritz London hotel oozes luxury. This hotel can appeal to anyone without exception. One of its greatest assets is their charming afternoon tea - a British tradition that fulfills the human need to network with other people from different walks of life. This hotel also gives you a chance to dine in style in its Michelin-starred restaurant with one of the most stunning dining rooms in the world. Its rooms and suites have been restored in their original Louis XVI style and come with magnificent views. The hotel is within walking distance to must-sees like Piccadilly, Covent Garden, and Soho. Located at the core of London's fashion-forward Marylebone, the Landmark London hotel is an oasis of luxury with stunning glass-roofed 8-story building with an Atrium and towering palm trees. This magnificent historic and iconic hotel perfectly blends contemporary flair with classics. Guests can count on this hotel to experience the quintessential London charm in its sumptuous surroundings. Its rooms and suites offer a retreat from the vibrant city, allowing you to relax in peaceful luxury. It also has a host of bars and restaurants for guests to experience modern European dining and traditional afternoon tea with the British charm. Some of the must-sees include the Mirror Bar, Thornbury Castle, Allsop Arms, and the Marylebone Station. Hailed as London's most romantic hotel, St Pancras is one of the most recognizable hotels in London. This massive Gothic red brick facade was opened in 1873. This luxury hotel takes pride in its sense of eclecticism, richness, and adventure. It subtly unites Victorian grandeur with modern style and service. Its pet-friendly rooms and suites combine a sense of elegant history with modern comfort, which includes plush bedding. As you enjoy your unforgettable stay in this iconic London masterpiece, be sure to explore the British Library, Dolphin Pub, King's Cross and the Eurostar. For that classically English experience, visit the Hyatt Regency London, which is steeped in authentic British charm. The elegant and luxurious Hyatt Regency is situated in London's West End, just 100m from Marble Arch. It features luxurious and spacious rooms that offer scenic courtyard views, iPod docking stations, and king-size beds. The Montagu Restaurant offers British and European seasonal dishes with the traditional Churchill Bar offering guests a wide range of wines and cocktails. While staying here, visit the Westminster Borough to enjoy the parks and city walks. You can also splurge on the nearby Oxford Street, which is home to a host of shops, including House of Fraser, Selfridges, and Debenhams. Have you ever stayed in one of these London hotels? If you did, how was your stay?